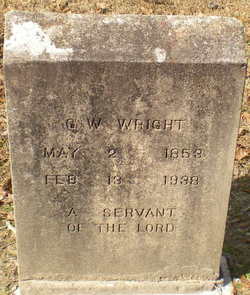 On this date the 13th of February, in 1938, our maternal great-great grandfather, George Washington Wright passed away in Catahoula Parish, Louisiana. He is buried in Heard Cemetary, in Manifest, Louisiana. George Washington Wright and Martha Fannie Eubanks were married and had 7 children including our great grandfather John Estel Wright.